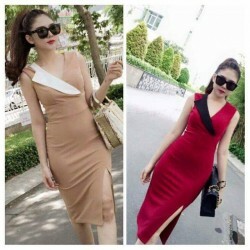 Dress with a collar like a jacket, beige or red. This dress is very suitable for going to work. Attractive.